ProtectoWire is the originator of Linear Heat Detectors and the leading manufacturer of Special Hazard Linear Heat Detection Systems. 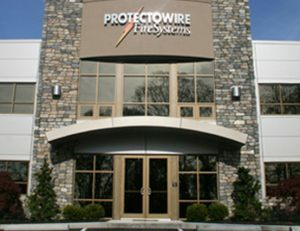 For over 75 years, the world’s largest companies have trusted ProtectoWire Fire Detection Systems to protect their assets and business operations. And when ProtectoWire needed to build a new corporate headquarters, they trusted Coastal Construction to take on the entire project. 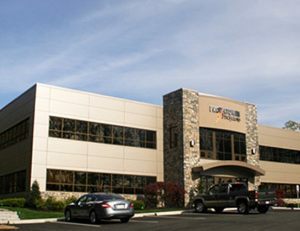 It was Coastal’s preconstruction consultation during the design stage that led to significant cost savings in the design of 12,000 square feet of office space and 17,000 square feet of manufacturing space. Site improvements included removal of trees and topsoil, new storm water detention systems, septic system, roadway approach improvements, paving and landscaping. 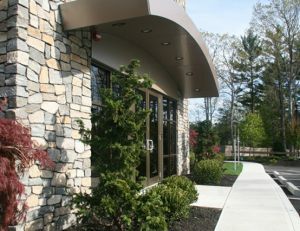 The exterior of the structural steel building was sheathed in prefabricated insulated metal panels with cultured stone masonry at the front facade.